This was a short activity on fractions that I gave a group of sixth graders to finish during my student teaching semester. 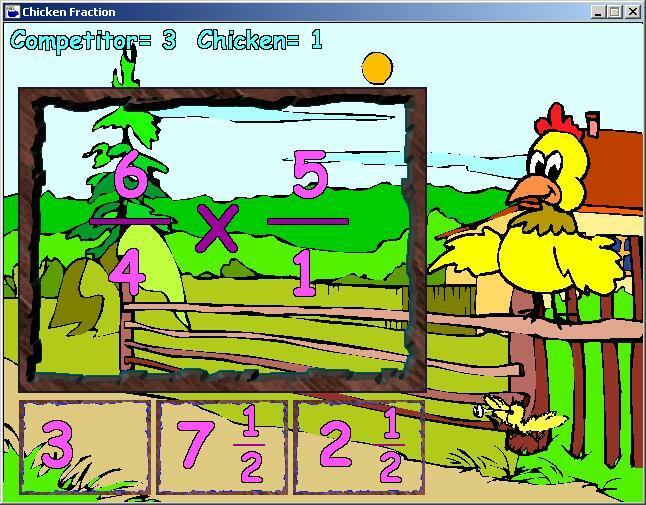 The game helps you practice cross-multiplication with fractions while earning points to knock down the chicken. 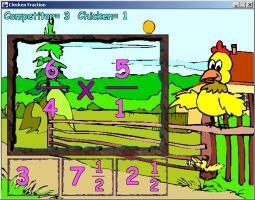 "A cute but simplistic math game." A simple and fun maths game with nice graphics and bouncy music. Could be useful for helping children practice their fractions. I really liked the game, I thought it was a great approach to both learning to use computers in a fun, satisfying and productive way and is actually pretty fun. I pretty much despise every aspect of intellectual exertion, but this game was really addicting!